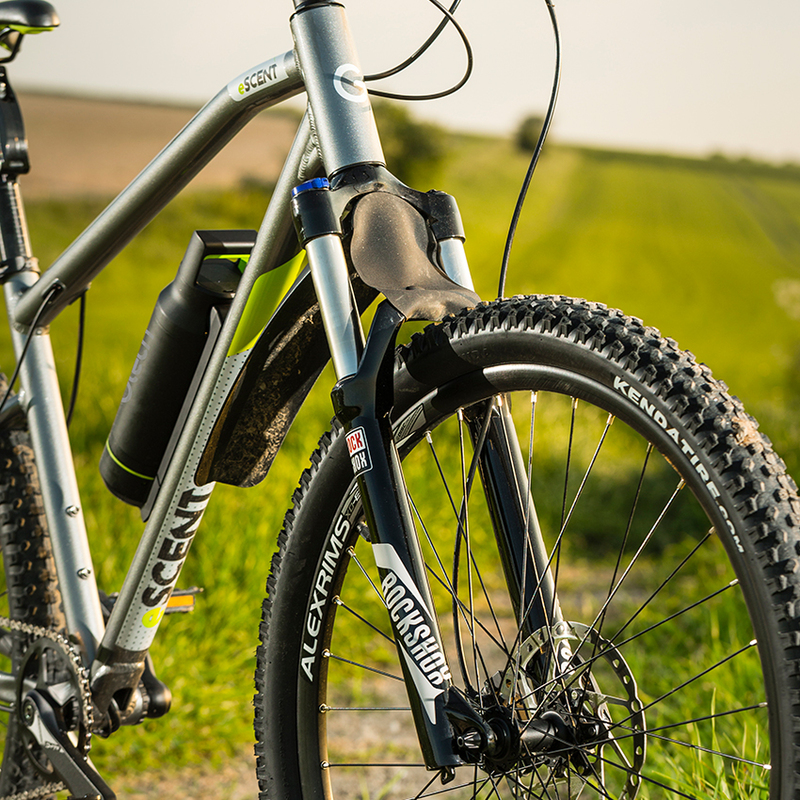 Coming in at just 19kg, this electrical assist bike is built for off road adventures. 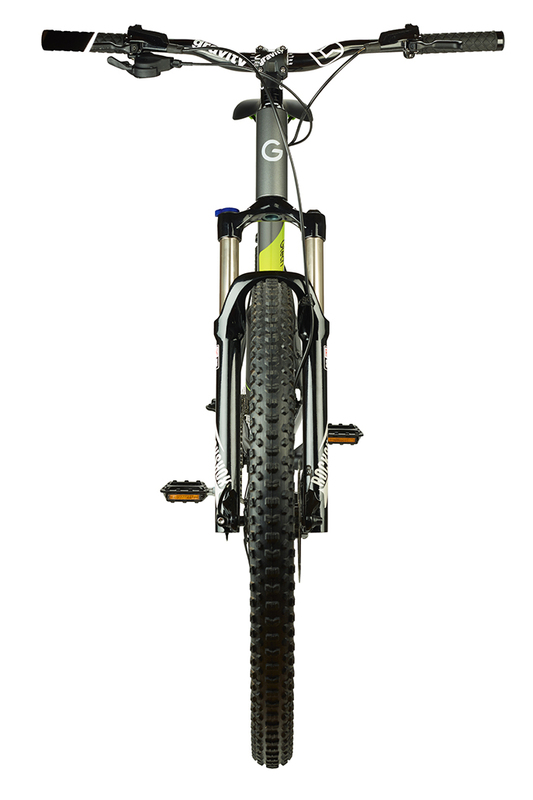 With 27.5” tyres, a 36V high torque motor and RockShox suspension, this electrical bike is packed with features to add some fun to your life. 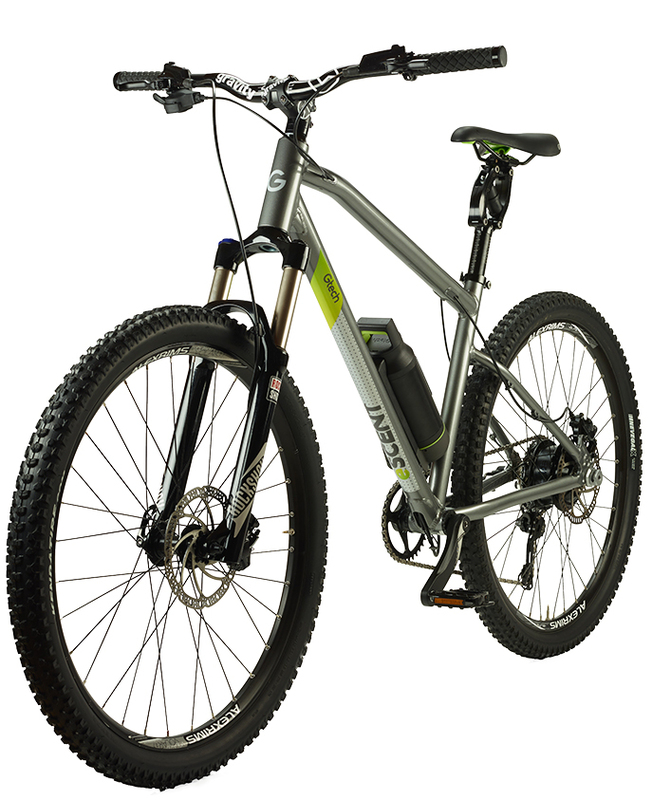 This eBike uses a battery to power the motor, so you can continue to pedal normally while moving more quickly and easily over a variety of terrains. With 2 modes to choose from, you’re in complete control. 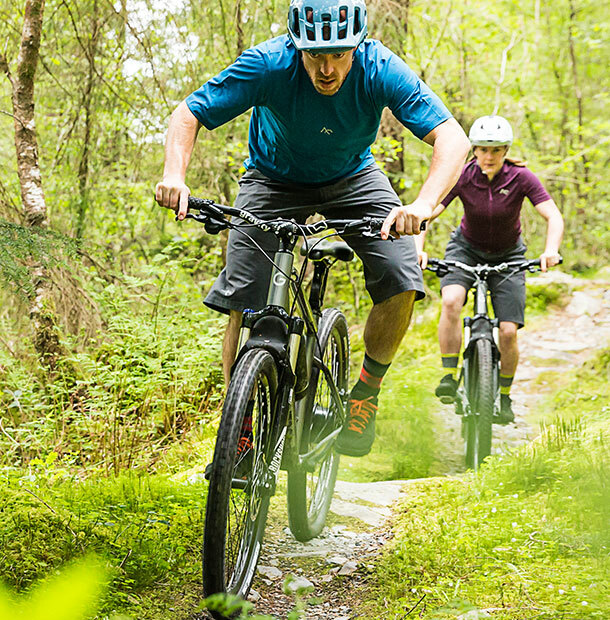 We’ve partnered with giants of the bike world, Cycle Republic, to offer our exclusive range of eBikes. 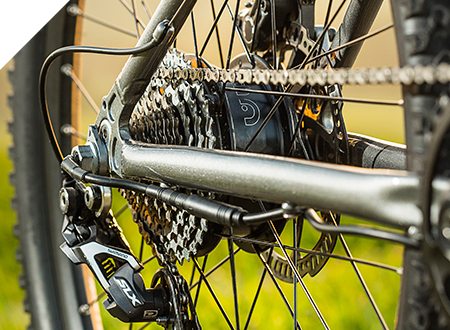 With years of experience behind them, Cycle Republic offer expert guidance on all things bike related. 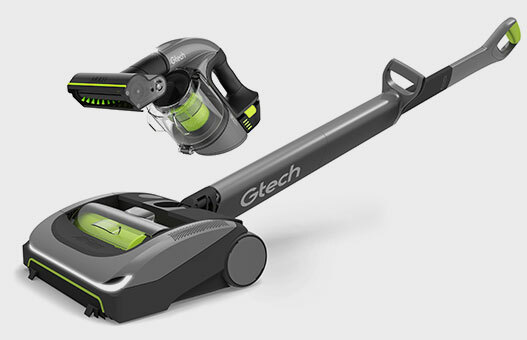 Our bikes still feature the same fantastic Gtech technology, don’t worry. We just wanted to make them available to more people, so we’ll be selling them nationwide in Cycle Republic shops, and not in our HQ store. 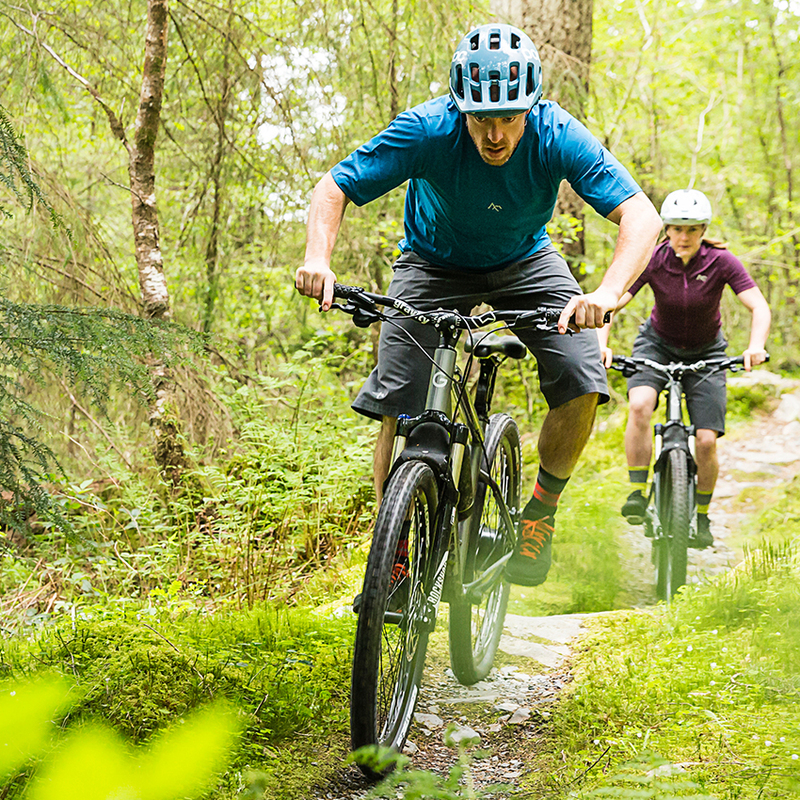 Our eBike test track remains open 7 days a week for anyone after a two wheeled adrenaline fix, with our friendly retail team on hand to answer any questions. 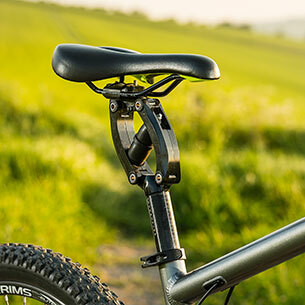 All of our much loved eBike accessories are available through Cycle Republic, too. Go further, faster with more ease. 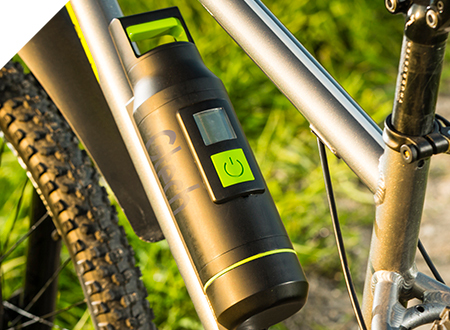 Our electric assist bike is powered by a 36V Lithium-ion battery, supporting you along the ups and downs. With an LCD display, you can check how much charge you have left - each full charge lasts for up to 30 miles*, powering you up to 15 miles an hour*. 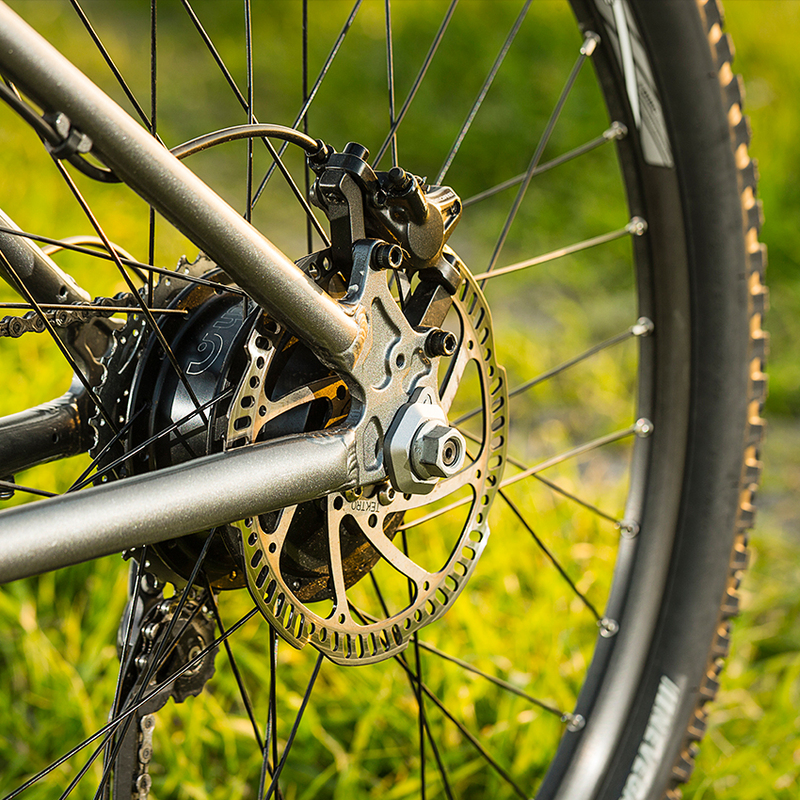 City streets and country tracks can be tackled with ease thanks to the RockShox suspension system on this eBike. 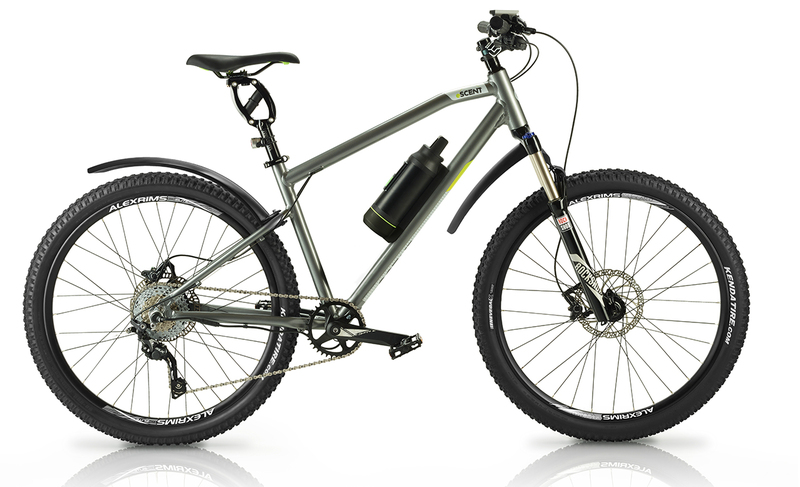 Enjoy a comfortable ride, with the suspension saddle making even bumpy roads feel smooth. We’ve gone all out with the gear system on this electric assist bike, adding state of the art Shimano gears to enhance every experience. If clothes make the man, accessories make the bike. 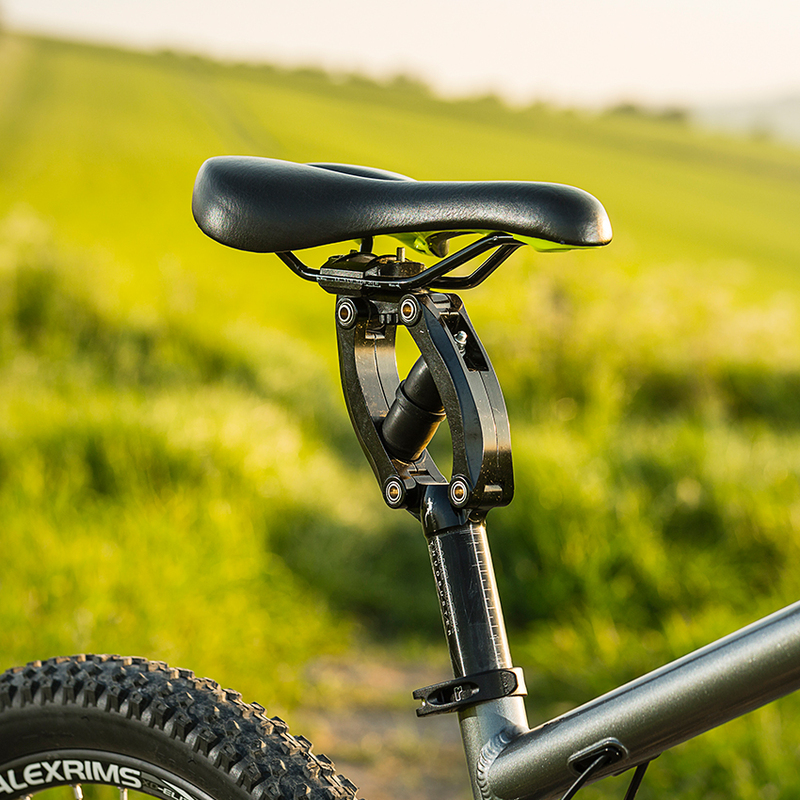 We’ve got a range of electric bike accessories exclusively available through our partners, Cycle Republic, from mudguards and helmets to safety lights and kickstands. Upgrade your ride and hit the road fully prepared and kitted out. If clothes make the man, accessories make the bike. 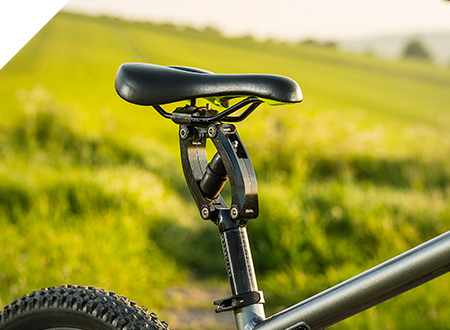 We’ve got a range of electric bike accessories exclusively available through our partners, Cycle Republic, from mudguards and helmets to safety lights and kickstands. Upgrade your ride and hit the road fully prepared and kitted out. 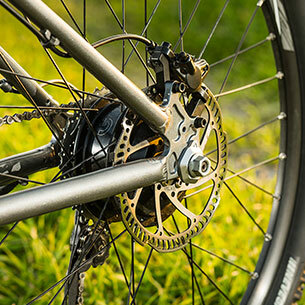 The hydraulic disc brakes on our eBike give braking performance - just what you need when you’re hurtling through the countryside or down steep hills. Stay safe and in control without any compromises, in any weather. 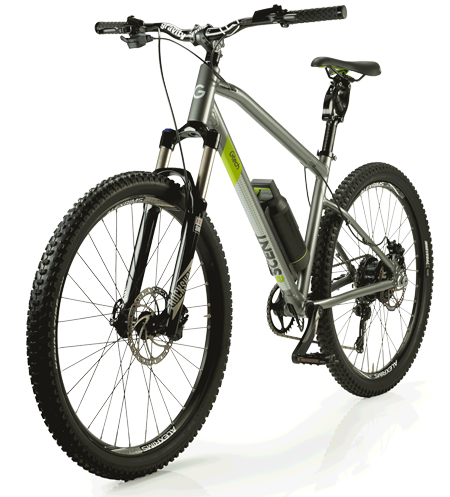 This electrical bike is equipped with 27.5” off road tyres to provide the perfect balance between good acceleration and maximum manoeuvrability. Take on the open road and rougher terrain with confidence. 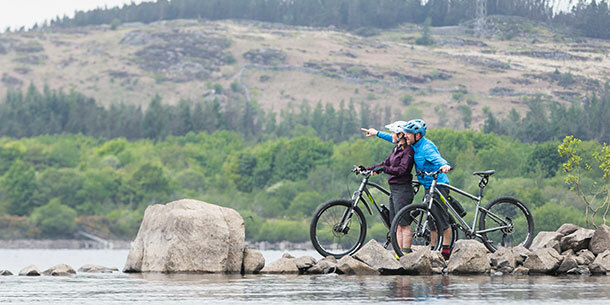 Choose from ‘Eco’ or ‘Max’ mode to suit your journey, or turn the battery off to ride it like a normal bike. This electrical bicycle is made from aviation grade aluminium, so it’s light enough to power on your own and strong enough to withstand whatever you throw at it. 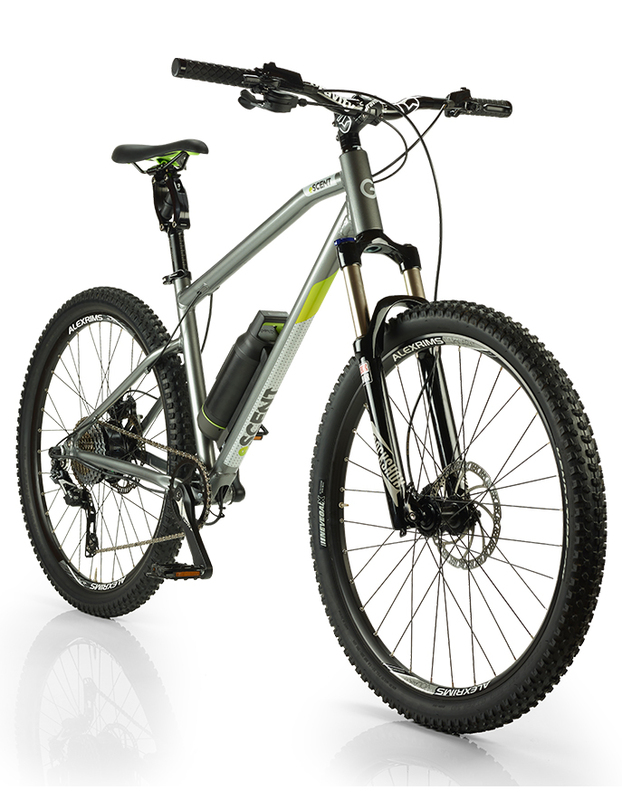 *The eBike uses a quick release battery system. Lightweight 200Wh Lithium-ion battery packs can be swapped in seconds at the roadside. Each pack weighs just 1.4Kg, so spare battery packs can easily be carried for longer trips. The range that can be achieved from each pack will vary according to the conditions and effort exerted by the rider. Ranges of around 30 miles are normal per each full eBike battery charge. 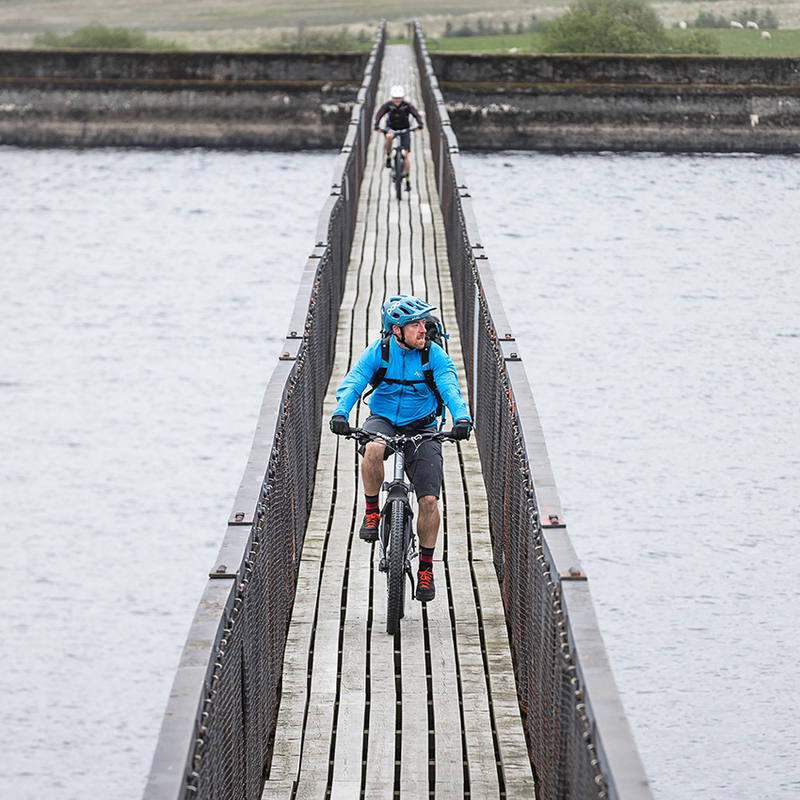 Less fit riders may achieve ranges of 10 miles or less, particularly in challenging conditions like steep hills, strong head winds or soft terrain. 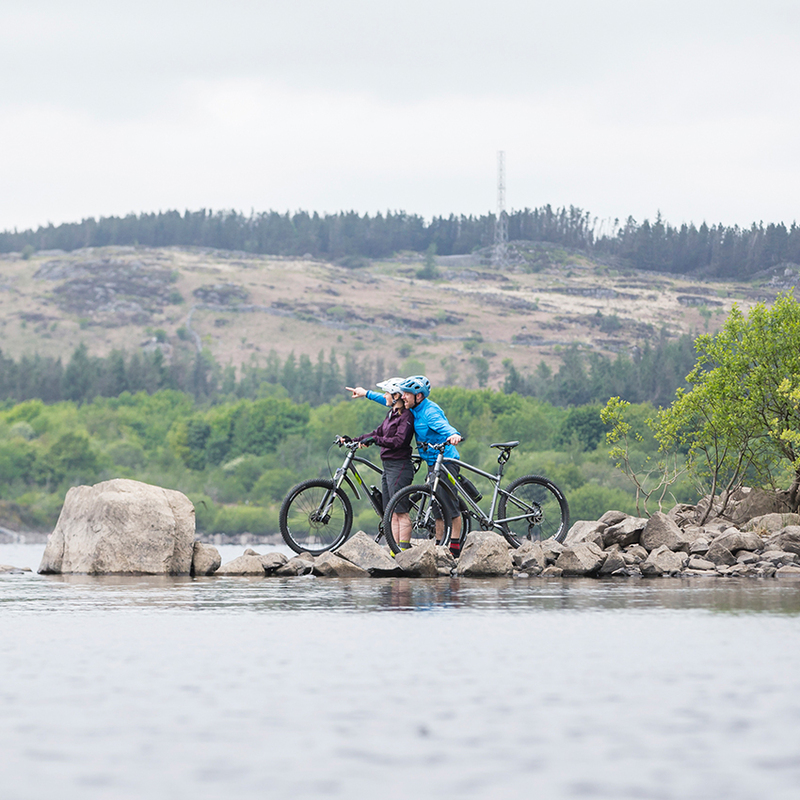 The conditions which affect the range are rider fitness, weight, size and seating position, head or tail winds, gradient, terrain, tyre pressure, what gear is used, number of stop/ starts and the speed the bike is ridden at. Prices shown reflect product RRP however please refer to Cycle Republic website for current price information. Fantastic bike, It's got me back on the exercise track at 62. Now thinking of buying my wife one. Bike was delivered very quickly with no damage and no components missing. Fairly easy to assemble. So far only used for short journeys. More than impressed with this bike, it came partially assembled took around 20 mins to build it up then put the battery on charge but being honest it rides nicely without the battery. Build quality is of a very high standard as well as it’s specifcation all the top bits you would expect. Put the battery on it the next day and it really does fly along. We purchased two bikes one for my wife (city bike) and a mountain bike (e scent ) for myself. 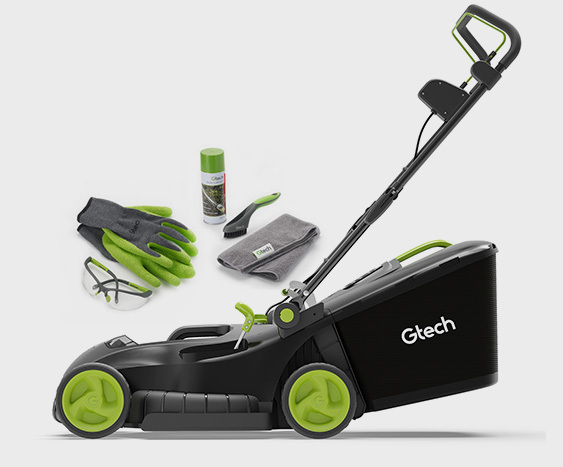 We have been delighted with both and do just what the package says so long as the batteries retain their power over the months ahead.